The fight to rid the web of images of child abuse has gained a new tool - in the form of artificial intelligence. 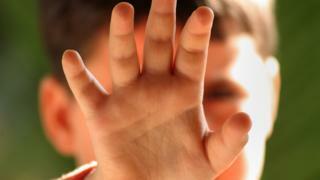 The AI toolkit, inspired by photos of a toddler's hand, can automatically detect new child sexual abuse photos and videos in online networks. "When I was just starting as a junior researcher interested in computational linguistics, I attended a presentation by an Interpol police officer who was arguing that the academic world should focus more on developing solutions to detect child abuse media online," she said. "Although he clearly acknowledged that there are other crimes that also deserve attention, at one point he said: 'You know those sweet toddler hands with dimple-knuckles. I see them online every day'. From that moment I knew I wanted to do something to help stop this." It works using a combination of file name analysis - picking up typical filenames used by paedophiles such as ch1ld. These cannot be picked up by standard computer analysis and while they are easily spotted by humans, the sheer volume of images makes it impossible for law enforcers to find every file. "Identifying new child sexual abuse media is critical because it can indicate recent or ongoing child abuse," said Ms Peersman. "And because originators of such media can be hands-on abusers, their early detection and apprehension can safeguard victims from further abuse."